Most of us have been there. You are involved in a long term relationship. You are in love. You find out too late that your beloved significant other is in debt. You cannot leave them, and really, you do not want to leave them either. What can you do? To be quite frank: you can do a few things. Tinsley has been operating as a skip tracer in Oklahoma City long enough to discover a few tricks for handling situations like the above mentioned. Without any question, she offers the first piece of advice freely and frequently: just breathe. Your first instinct might be to panic. After all, no one is really sure where the line is drawn on combined financial standings. Is your partner’s debt your debt? The answer to that is a complicated one. Technically: no, it is not your debt. On the other hand, your partner’s financial downfall might be a burden on your shared household and combined lifestyle. This is why Tinsley’s next tip on handling your significant other’s debt is communication. If you are open with your partner and offer to help them rather than judge them, you will be surprised how much the situation can strengthen your relationship. 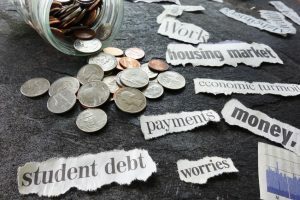 Working as a skip tracer in Oklahoma has given Tinsley Keefe the upper hand on all situations involving debt; including ways to help your significant other without actually forking money over to pay off their debt. Unless you have the ability to make large amounts of money and you have the extra to spare, you should never offer money you do not have to your significant other in an attempt at paying off their debt. It might help in the moment, but in the grand scheme it produces nothing but complications. Instead, Tinsley suggests offering your assistance in other ways – from helping your significant other with their budgeting to helping them look into payment plans and debt consolidation options. Furthermore, Tinsley notes that you can also assist your significant other from acquiring more unnecessary debt. The sad part of life is that most will not make it through without racking up some type of debt – from student loans to mortgages. That is just how the world works. However, there is a difference between mortgages and credit cards. While working as a skip tracer in OKC, Tinsley has become familiar with one of the top reasons that skip tracers become necessary in the first place: people frivolously spending money they do not have in the form of credit cards, lines of credits, personal loans, and other financial schemes. To be fair, there is no harm in taking out a couple personal loans in your lifetime for things that you really want – and things that you can afford to not afford. In other words, make sure you can afford the minimum monthly payment before making a commitment. In the end, if you keep your significant other in line when it comes to unnecessary credit accounts and the like, you will be helping them out immensely in the long run.